When I showed the other half these nails, and mentioned the theme he asked where the blue was! Let me reassure you and him I used Models Own True Blue in the gradient. 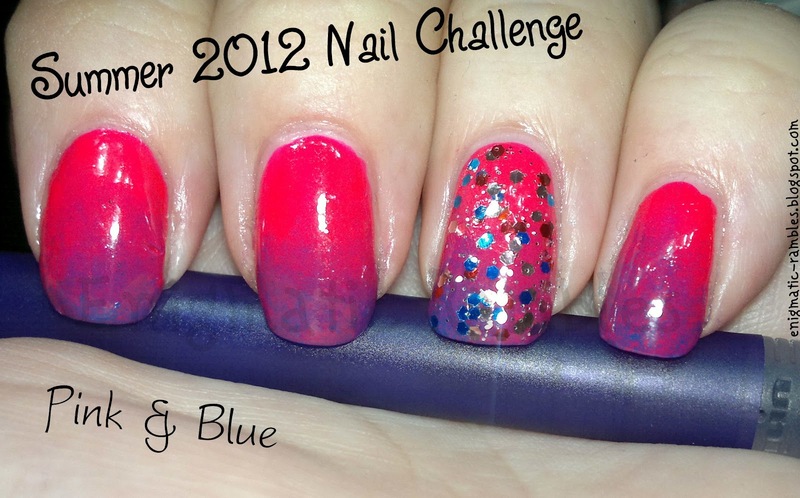 Because of that I also used a pink and blue glitter to reiterate the theme! ombre nails :-D and reminds me of some candy!